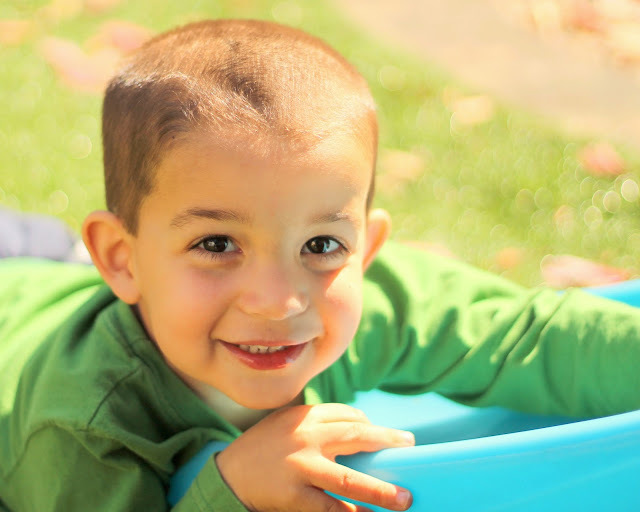 As you may know, I like to write posts to the boys on their birthdays, and it is Little Arrow's 4th birthday (you can read his 1st, 2nd, and 3rd posts and Big Arrow's 2nd, 3rd, 4th, 5th, and 6th posts at the links.) Forgive this temporary transformation of this travel blog into an incomplete baby book... I'll resume my normal travel tales and tips in a few days. Little man, I've been thinking about what I might write to you in this space, on the eve of your fourth birthday, for weeks now. I want to do justice to my feelings toward you. How complex they are, yet how pure and full of love they are, too. Your personality has truly blossomed this year. We're getting a much clearer snapshots of the boy you're becoming and man you'll be someday. And we love everything we're seeing. I have a bit of a history bringing my children to Buckingham Palace. Our first visit ended like this and included Big Arrow getting his head stuck in the gate. 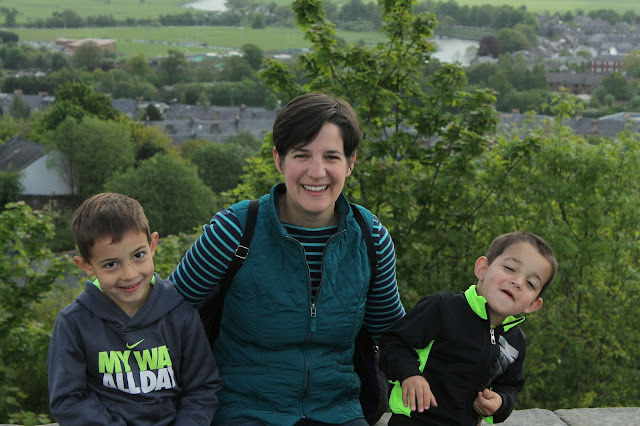 Getting from point A to point B when sightseeing through a city with kids can be exhausting, exhilarating and exciting (how's that for alliteration!) My kids have delighted in various subways, trains, buses, etc. as we've traveled around European cities. And we've withstood a few epic tantrums on public transit also. 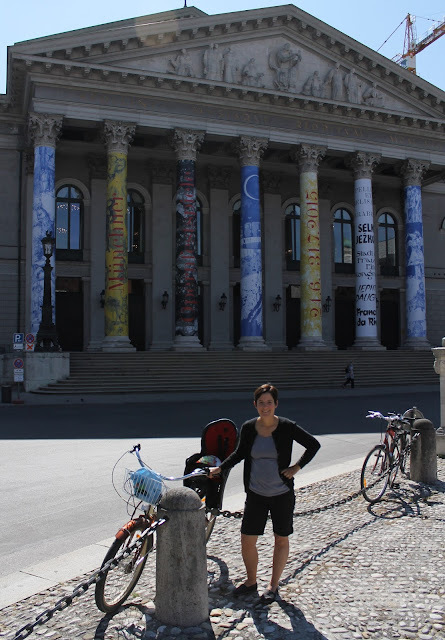 But in Munich, we found our new favorite way to get around: bikes! Truth be told, we love to ride bikes as a family, but we almost always head to places with dedicated bike paths. I'm not very comfortable riding my bike through city streets, in and out of traffic, especially with the boys, so we've never rented bikes during city visits. Until Munich, when after our first day there, we realized it was relatively flat and had bike lanes on almost every major street (often protected by a curb away from vehicle traffic). It was the type of biking that seemed both safe and fun, and we knew the boys would love it. I'll admit that Munich, and Germany in general, wasn't high on my list of places to travel around Europe. I don't know why. I really don't. It just never had the appeal that other destinations have had for me. 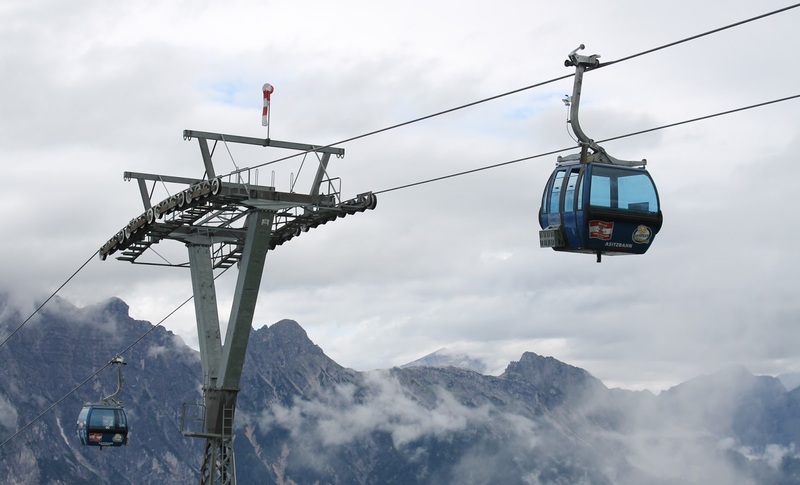 But my husband has persistently put it on the top of his travel wish list for years. And so when we began mapping out a week-long summer trip, he finally got me to commit to going. We were going to kick the week off in Munich for three days. When I began reading about the city, I realized it was going to be a great fit for our family. Plenty of culture, sightseeing, and yet a fun, family-friendly feel to it. Indeed, it lived up to this and then some. It's one of the most laid back European cities I've been to. 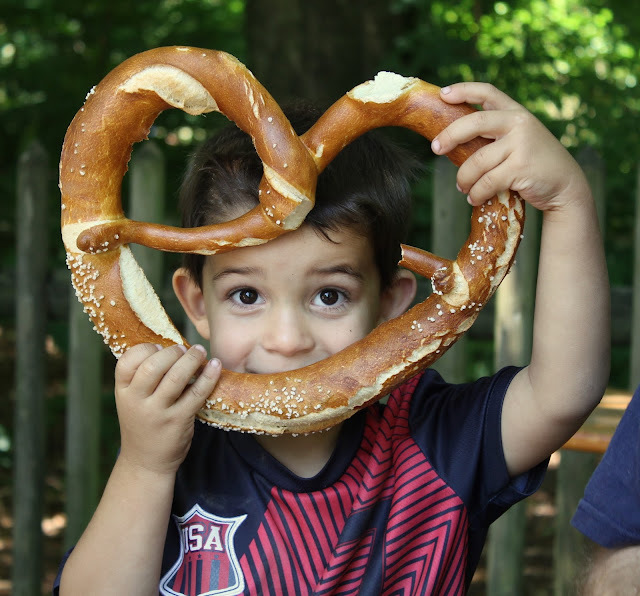 Maybe it's all the beer and pretzels. Beer and pretzels. What's not to love about Munich? Like many people, I spent a portion of the last few months drooling over the photos friends posted of their summer travels on Facebook and Instagram. It's probably my favorite aspect of being active on social media: the chance to window shop all sorts of destinations and get a glimpse into what everyone else's vacations were like. I suspect I receive "likes" and comments on my own travel photos for similar reasons. But anyone who has traveled knows that these brief glimpses don't always tell the full story. Especially when you add kids in the mix. I don't think there's anything wrong with sharing wonderful vacation photos. I post hundreds each year myself. But I hope it doesn't set an unrealistic expectation for others when they embark on their own journeys. Our May trip to Scotland is the perfect example. My photos suggested gorgeous scenery, interesting historical places, and 24/7 smiles. But had you traveled with us that week, you'd know there was much more to it than what friends saw on Facebook. Let me give you a few examples, from just one day of our travels there that week. We started the day in Stirling with a brief stop at the castle there. As we were walking through the very quiet parking lot toward the wall where you could admire the view of the town and surrounding countryside, a car veered away from its lane and over to the walking path we were on. An older American woman rolled down her window and yelled at us for not holding the hand of our 3-year-old, saying he was certain to get hit by a car. A few things to note: He was walking on a pedestrian path. There were hardly any cars around. And the only car that came near him was HER car. Also? Mind your own business, lady. 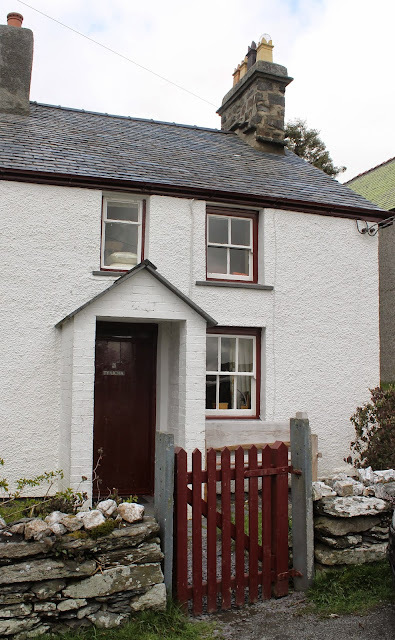 I think one of the reasons we enjoy balancing city breaks with time in the countryside when we travel is because of the need to plan vs. wing it. Our trip to Scotland is a great example. In Edinburgh, we had a pretty good sense of how we might fill our time there. Certainly, it had its unexpected moments (who could have anticipated a swim in the Scottish Parliament, after all), but for the most part, we saw and did the things we had intended to do. And it was gloriously busy and exciting and memorable. But as we drove toward Loch Lomond, at the very southern end of the Scottish Highlands, it became clear we could roll down our window and throw itineraries and guidebooks out into the fields. This wasn't a place where you check sightseeing boxes, unless that list includes shaggy cattle, mountains bleeding into deep blue waters, cozy shops selling wool blankets, and trails that lead you into forests. In which case, check, check, check and check. This was a place where you want to maximize your time. Not the way Frommer's or Rick Steves might suggest, but instead to simply embrace each ray of sunshine, each passing cloud, each amazing viewpoint. There's a bit of a ying and yang when you travel with young kids. Want to see what a city is like after about 7:30 p.m.? Tough going when you've got little ones already tucked away in bed. Interested in dining at fancy restaurants that you read about in guidebooks? Probably not going to happen very often. 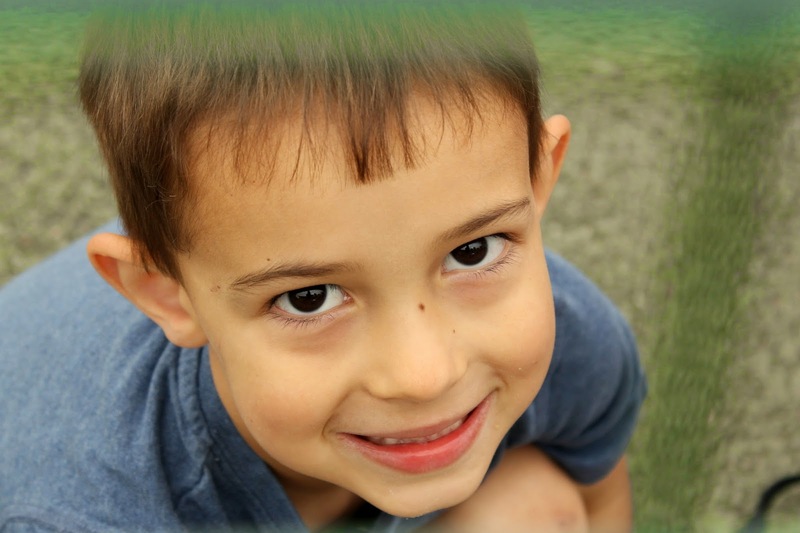 Magical moments as you see the world through your kids eyes? Now we're talking. It is easy to get hung up on the way traveling Europe with young children can limit you. In fact, sometimes when I mention the places we've been to other families around here, I'm met with strange stares and "what exactly did you do with little kids there?" and "did anyone have any fun?" comments. However... on a daily basis, on each and every trip we've taken, I'm reminded of the ways traveling WITH my kids actually enhances our travels. 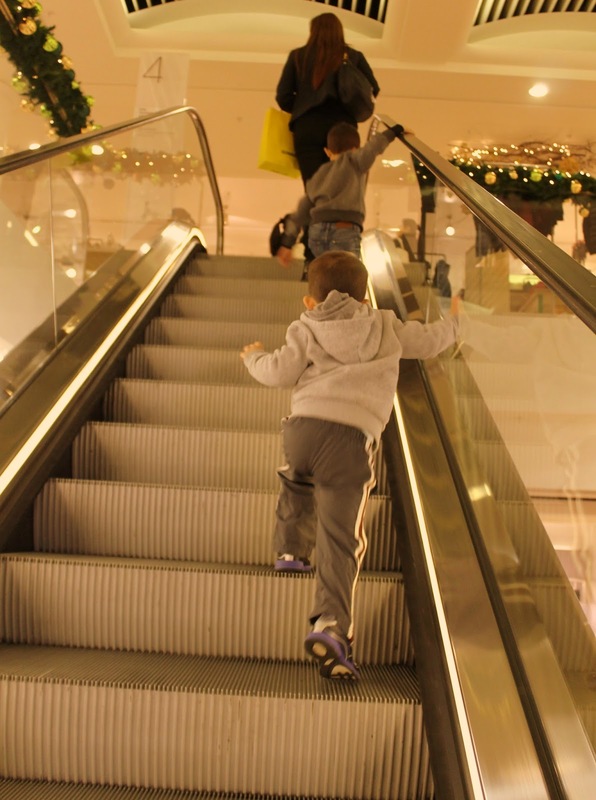 Experiences that can only happen when you've got a toddler who dawdles or a 6-year-old who asks 8 million questions. Moments that those so-called "fortunate travelers" without little ones in tow miss out on. 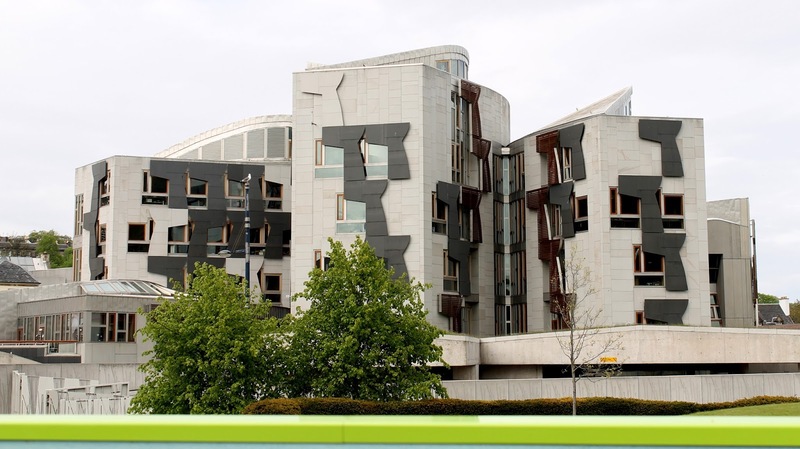 Take our evening at the Scottish Parliament building in Edinburgh. We spotted it earlier in the day on an open-top bus tour and my husband and I gave each other "the eye," as in "that would be a good place to let the boys run around later." Big reflecting pools, open areas of grass, gently sloping concrete perfect for running up and down (and skinned knees). To be honest, I'm certain we wouldn't have visited this area if we were in Edinburgh without our children. I made it no secret in my last post that it wasn't any one activity or site we saw that I'd remember forever about our weekend in Wales. Rather it was the pace of the weekend, the beauty of our surroundings, and the quality time together. 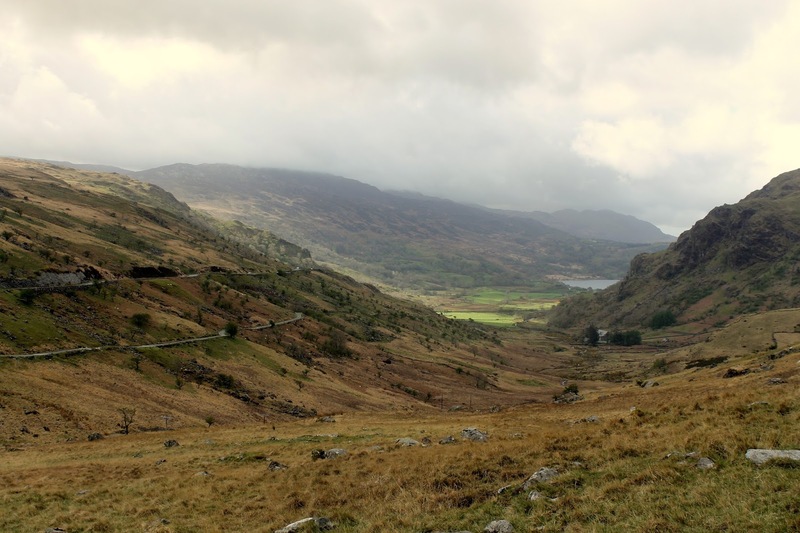 But that doesn't mean families will find themselves with a lack of things to do when visiting Snowdonia. Indeed the list of what we wanted to do far exceeded the limitations of our 2 1/2 day trip. We're just back from a weekend away in Wales, still clinging to the complete sense of relaxation we had while there. I think what brought the most peace to me that weekend was the cottage we rented and its immediate surroundings. Which is ironic because our accommodations were a bit of a headache to plan. We had been quite busy leading up to the trip. Lots of commitments, busy schedules, visitors, etc. Something all families can relate to, I'm sure. I was craving time just with just the four of us more than I have since we moved abroad. What better place to cozy up for a few nights than an old, tiny cottage. Of all the things I imagined doing while living in England, spending time on the beach (or even the coast, for that matter) didn't really cross my mind. But it should have. The UK has some of the most amazing coastal areas I've ever been to. Sunny and 85 degrees? Usually not. But if you can brave the elements, it's totally worth exploring. The Norfolk area is only a couple of hours from our house, so we've been able to visit on occasional day trips throughout the past two years. When my sister's family came to visit, we decided it would be a great spot to base ourselves for a few days in order to take in even more of the family-friendly attractions in Norfolk. 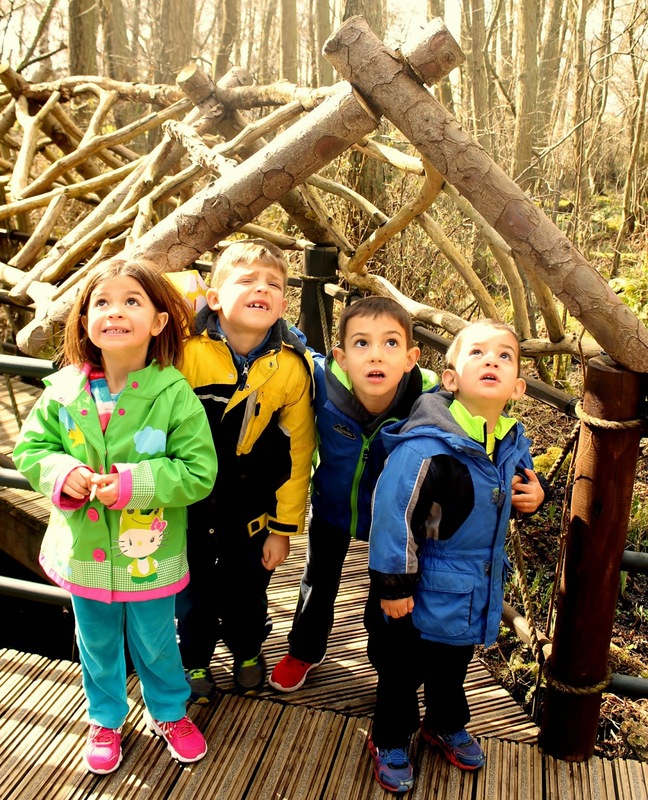 Looking up in complete amazement at BeWilderwood. As you may know, I like to write posts to the boys on their birthdays, and it is Big Arrow's 6th birthday. (You can also read his 2nd, 3rd, 4th and 5th posts or Little Arrow's 1st, 2nd, and 3rd posts.) I'll resume my normal travel tales and tips in a few days... 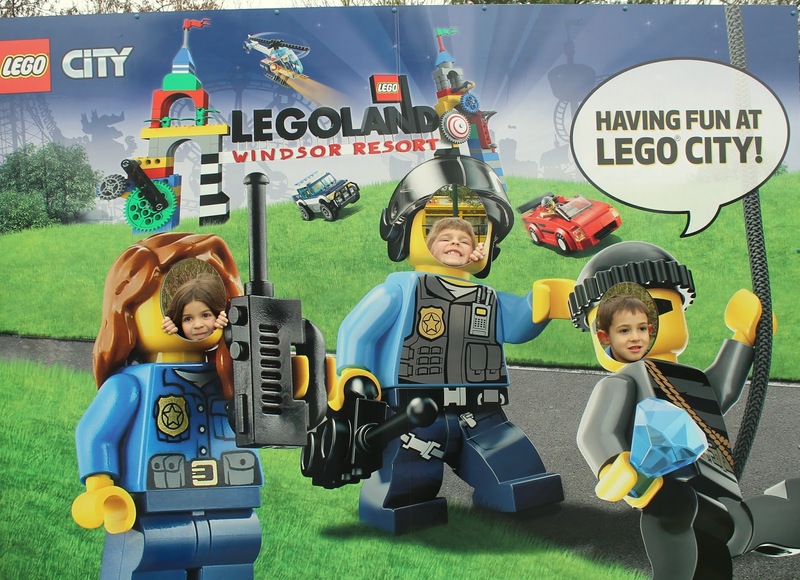 In fact, I'll be writing about his birthday celebration at Legoland next week. But a mama's just gotta love on her boys sometimes. The thing I've observed more in the past year than ever before is how strong your passions are, and how your enthusiasm is so contagious. And more importantly, how much I love that about you. I'll never forget Little Arrow's first birthday party. I held back tears through the entire night, not because my baby was turning 1, but because my husband and I had recently learned that we'd likely be moving to England. I was excited about the move, but we hadn't yet told our families, and as they gathered around our dining room table to sing Happy Birthday, I knew it would be his last family party for a while. That's the trade-off on this expat thing. Leaving the life you know and love behind for a few years of incredible, exotic moments. We traded birthday parties with the family we miss so much for foreign museums and medieval gardens. Like Little Arrow celebrating his third birthday this past winter by spending the day in the beautiful, ancient city of York. 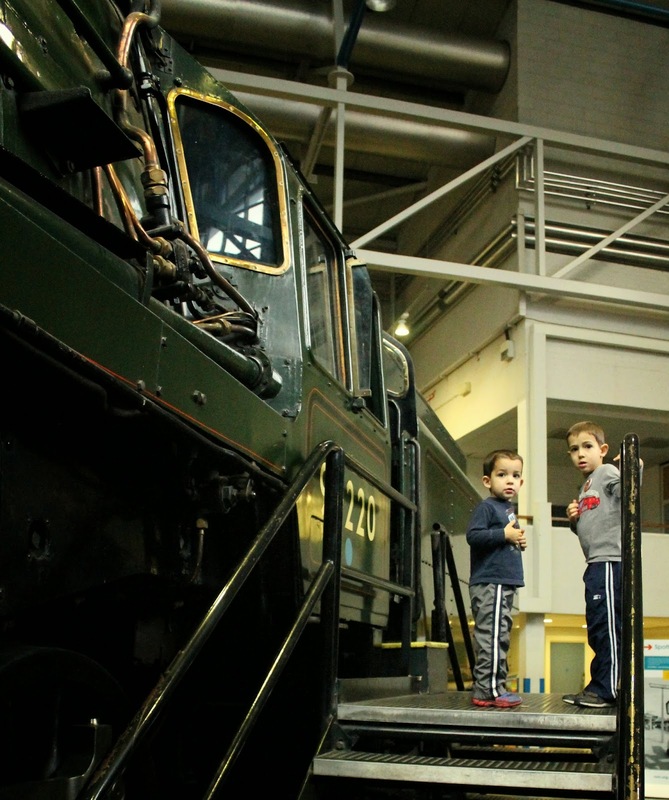 Our first stop (and quite frankly, what could have easily been our only stop of the day, as it's so big and so much fun) was the National Railway Museum. This is one of those museums that marries children's activities with adult fascinations extremely well. There was plenty for the boys to see and do that they found completely interesting, yet things my husband and I could learn from and enjoy also. Hands-on, but not in a way that deters grown ups without children from also visiting. 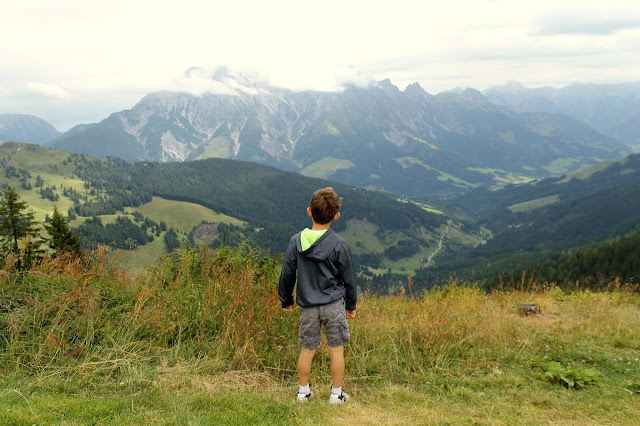 As we embarked on our move to England, our list of places to see in Europe while we lived here was long. We quickly came to the realization that we wouldn't get to see it all, especially if we wanted to travel at a pace that allows us to actually enjoy the experience. So there was an unspoken rule that we wouldn't go somewhere more than once while we were here. Rules are meant to be broken though, right? Of all the trips we've taken in the last couple of years, I came home from Portugal last December overwhelmed by how much I loved it there, and yet somewhat unfulfilled, knowing we hadn't seen as much as I wanted. 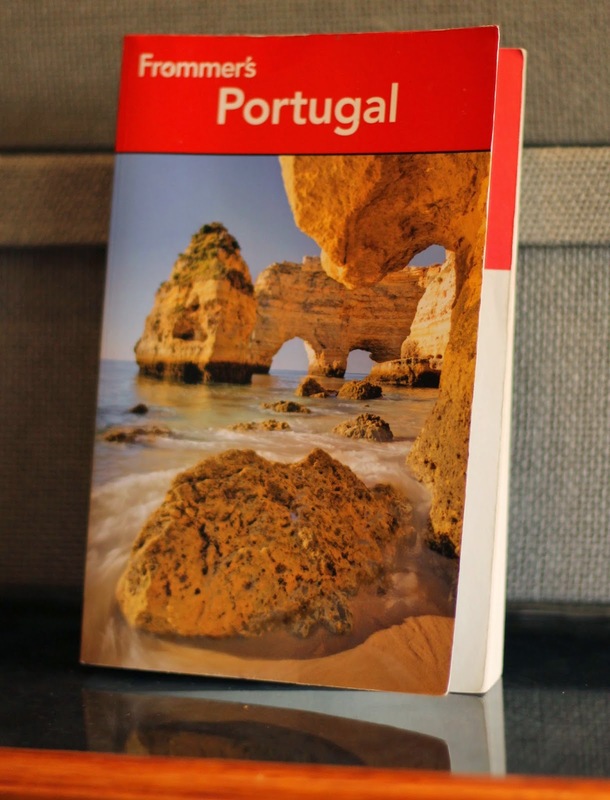 The cover of my Frommer's guidebook called out to me... that majestic site, Ponta da Piedade, was only 30 minutes from our resort in the Algarve but we never saw it. Like kids all over the world, my boys opened up a brand new tub of Legos on Christmas morning. I read the age description on the box: suitable for 4-99, and thought, how rare to find something that can be enjoyed by such a wide range of ages. And that's the task I had ahead of me when trying to find a day trip destination from Paris suitable for a multigenerational group of nine during our Christmas trip. I knew a break from the city during a week-long trip would be both pleasant and necessary. We all crave an escape from the crowds and the fast pace after a while. So I read up on a lot of the usual suspects. Versailles sounded way too big and unmanageable for our crew of nine to navigate in a few hours. Given the typical weather in December and January, Giverny and Normandy didn't sound like good options with young children either. 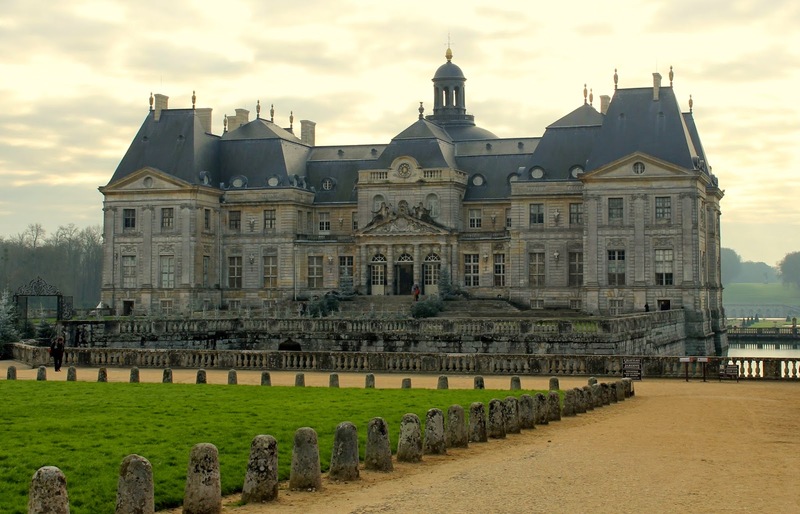 I somehow stumbled upon Chateau de Vaux le Vicomte's website. And I just had a hunch it was a good fit for us. It was probably my favorite day of the trip, as it was so peaceful and beautiful, and yet still decidedly French from beginning to end. We barely had to share the place with anyone else. 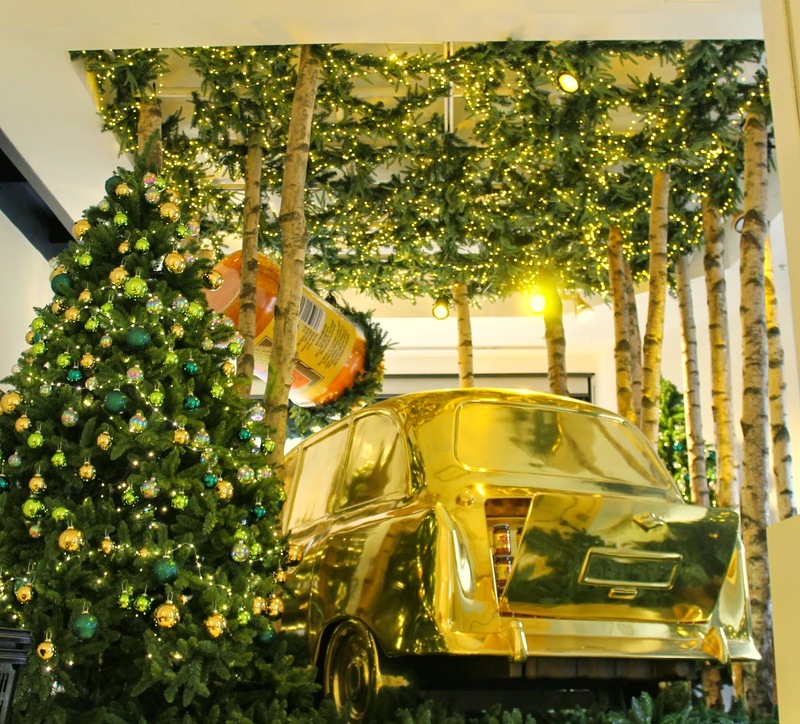 The Christmas décor was unlike anything I'd seen before. Gorgeous, but not gaudy. The kids were pretty mesmerized by the whole experience, too. One of the reasons that Paris is my favorite European city is that in addition to its spectacular popular attractions, it's never hard to find a quiet spot or a corner where you feel like you're the only people there. I'm not quite sure how the city pulls it off, but having now been there three times, I find it always does. And certainly, after visiting with young children, my appreciation for that quality is higher than ever. I had several of those moments on our trip over the holidays. 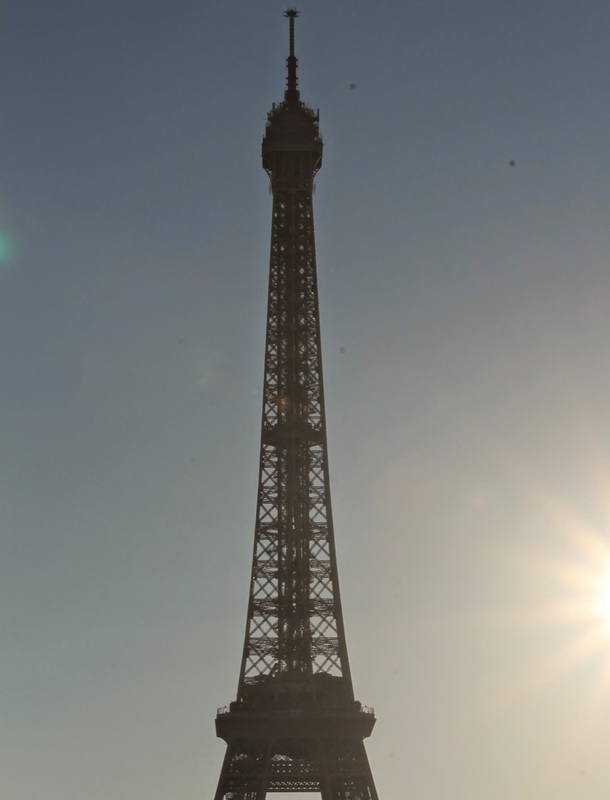 Paris is an incredibly popular place to travel to between Christmas and New Year's. Lines at just about every museum and attraction we passed stretched for what looked to be hours. But just as you begin to feel a bit claustrophobic by it all, you walk a block or two, and you find yourself on your own and yet your surroundings are just as gorgeous. Picture Perfect Paris. As we strolled the Champs Elysees, enjoying a crowded Christmas Market along the way, we eventually detoured over to the Pont Alexandre III. 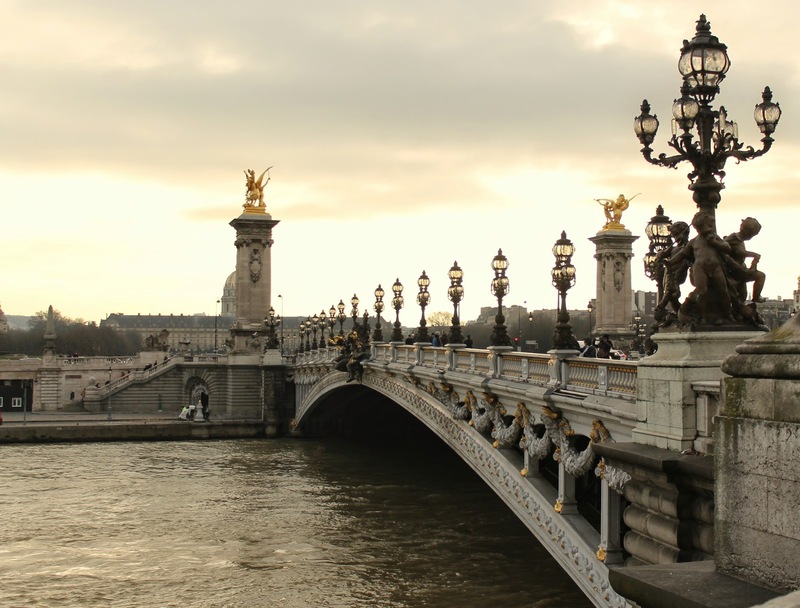 A beautiful ornate bridge, with the Eiffel Tower in the distant background, made for perfect photo opportunities. And without the many vendors found at the Eiffel Tower itself to bother us. I try to be a realist when it comes to envisioning our family's travels. I know things aren't going to always be pleasant, and certainly rarely relaxing. I prepare myself for that mentally. But every once in a while, the romantic gets the better of me and I get some crazy idea in my head. In the case of our trip to Paris, I had my heart set on a perfect photo of all four of us, smiling happily in front of the Eiffel Tower. In fact, I was so wrapped up in this fantasy that on the second day of our trip, we went back to our apartment while the rest of our multi-generational group went to the Eiffel Tower. Both boys were starting to fade from a day of sightseeing and I feared I wouldn't get THE photo that I had unrealistically imagined for weeks prior. My husband first learned of our opportunity to live here in England on a business trip 2 years ago. He spent his last night of the trip in London, and wandered over to Hamley’s to buy the boys each a little gift. He was hoping to get them excited about our potential British adventures. His present to Little Arrow was a small Paddington Bear stuffed animal, and it has sat on a shelf in his room ever since. Beyond that bear, the boys were basically oblivious to Paddington. Let’s be honest, he doesn’t have quite the modern appeal of Frozen, Harry Potter, or the current favorite at our house, Lego Ninjago (ugh). But I saw the trailer for the new Paddington Bear movie a few months ago, and I knew I absolutely had to introduce one of Britain’s most iconic and beloved children’s characters to my kids. In fact, when we went to see the film a few weeks ago, it was Little Arrow’s first time at the cinema. They adored it from the opening scene to the credits and now they’re hooked on all things Paddington. I’m excited to start reading the books with them. Our Christmas Eve day trip to London came at the tail end of a temporary exhibit of more than 50 Paddington Bear sculptures around the city, called the Paddington Trail. Each was uniquely designed by a celebrity and Big Arrow quickly made it a goal to see as many as possible throughout the day. Fortunately several of them were along our planned route for the day so we were happy to indulge him. 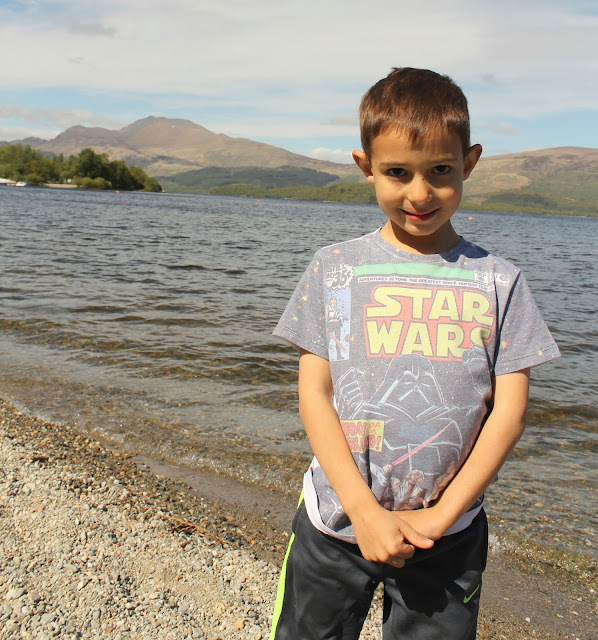 Do you ever have days out with your family where everything just clicks? Nobody whines. Nobody throws a fit on the train. Everyone has so much fun it sort of feels like your favorite song is playing on repeat in the background all day long. That is definitely not our every day. But that was our Christmas Eve in London. I wish I had some behind-the-scenes, magic secret to share with you on why the day was such a success. I don't. It helped that the crowds were very manageable. It even helped that Little Arrow was a bit under the weather, meaning he was content to sit in his stroller for long walks most of the day. And of course, it helps that London puts on a pretty good show when it comes to Christmas spirit and decorations. We started at Selfridge's, one of London's most famous department stores. My two made a beeline for the toy shop.